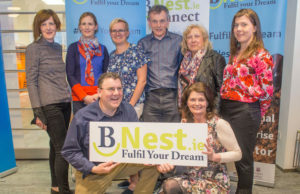 Pictured at the BNest Social Enterprise Incubator Showcase 2018 – 2019 at Nexus Innovation Centre, UL are (left to right) Eamon Ryan, BNest, Dr Sarah Miller, CEO of The Rediscovery Centre, Mike Conacur, Thinking Jobs, Johnny McGrath, Thinking Jobs and Kasia Zabinska, BNest. Picture: Conor Owens/ilovelimerick. 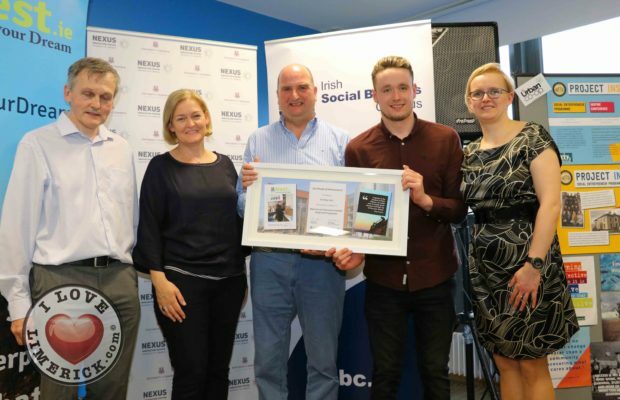 Thinking Jobs is a not for profit specialist recruitment agency, founded by Johnny McGrath and Mike Conacur. It is tasked specifically with getting a significant number of adults with disabilities into sustainable and long term employment. Thinking Jobs are looking for the opportunity to deliver a very high-quality commercial service to meet a real commercial need by providing, benefits to employees through increased self-esteem, mental health, and independence. Thinking Jobs focuses on the abilities of each person and not the disability. 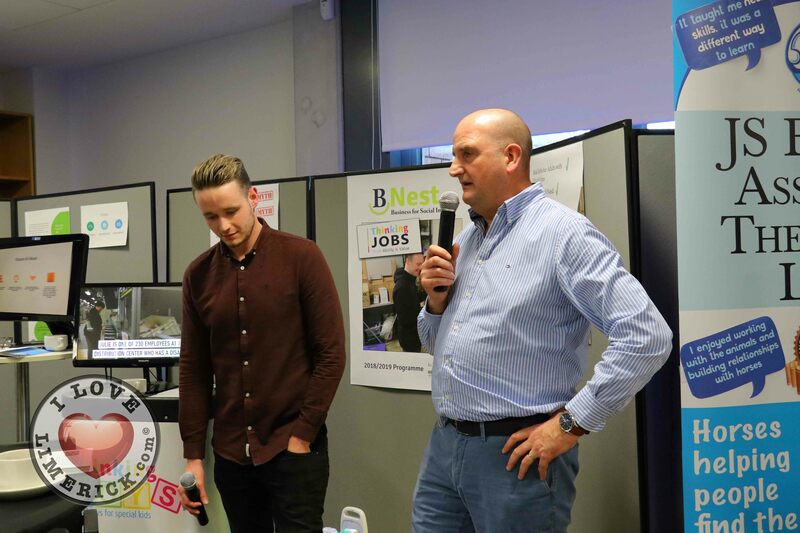 Johnny McGrath and Mike Conacur pictured at the BNest Social Enterprise Incubator Showcase 2018 – 2019 at Nexus Innovation Centre, UL. Picture: Conor Owens/ilovelimerick. Johnny and Mike both got involved with Thinking Jobs from personal experience. 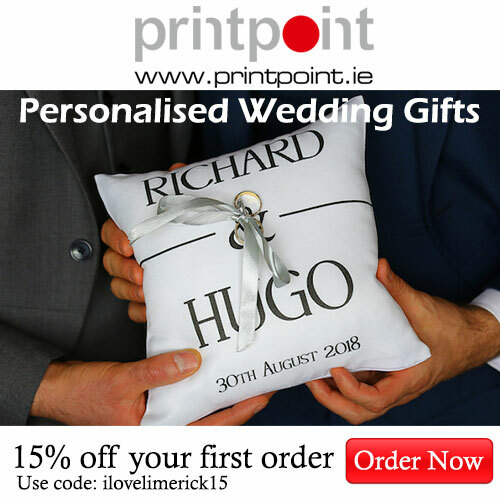 Johnny has Cerebral Palsy, is a UL Psychology Graduate and is an Irish Paralympic Swimmer and Mike is a parent of a 23 year old daughter with disabilities. For the past 15 years, Mike has been involved in disabilities after founding Thinking Toys. 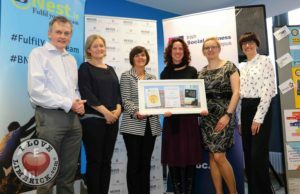 Thinking Toys specialises in providing toys & equipment suitable for children with Special Needs. It is a family business inspired by Mike’s daughter who has Sturge Weber Syndrome and who had major brain surgery when she was 2 years old. 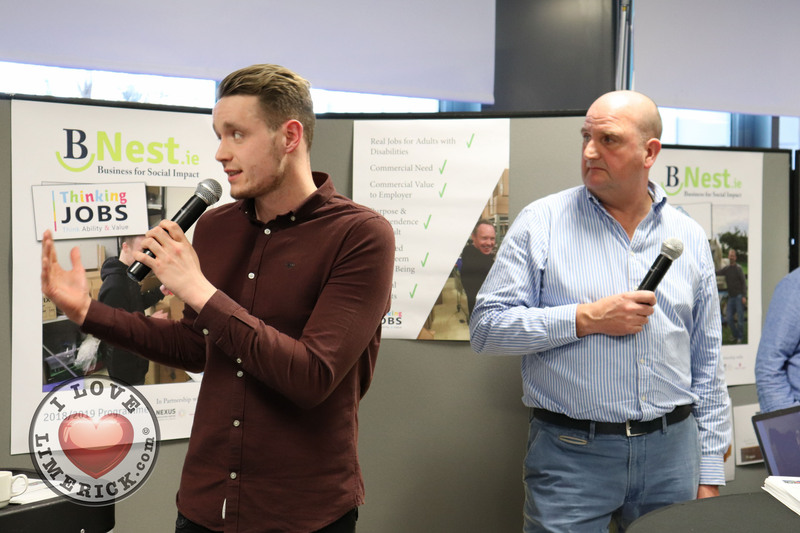 Johnny McGrath and Mike Conacur pictured at the BNest Social Enterprise Incubator Showcase 2018 – 2019 at Nexus Innovation Centre, UL. Picture: Orla McLaughlin/ilovelimerick. Thinking Jobs provide pre-employment training to employee and employer as well as reviewing adaptation needs, both physical and in work practices and on-going support for employees and employers by use of job mentors.